Duke No. 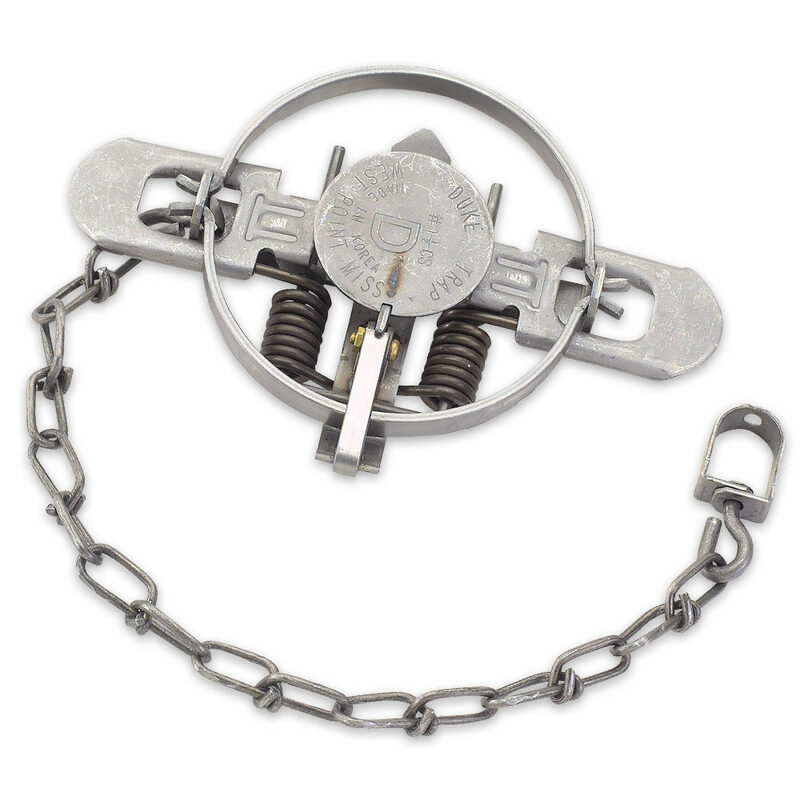 1 1/2 Coil Spring Trap | BUDK.com - Knives & Swords At The Lowest Prices! Are you looking to take advantage of the rewards trapping? To start off with, you need a trap that you can count on and Duke has you covered. The No. 1 1/2 Coil Spring Trap is excellent for trapping mink, raccoon, fox, skunk, weasel and nutria. It is built to last and has a 4 3/4" jaw spread. This trap works great is very heavy duty so will last a long time as long as you take care of it. I would highly recommend you add one to your bug-out bag as a means of trapping some food if your not versed in making snares or other types of animal traps. It is a little heavy but that what makes it good buy at this price and you will always have a way to feed yourself if all other methods fail.